In North America, we have coaching courses for all levels of the beautiful game that tackle different situations and even the knotty problems of soccer. How to prep for a season-ending game that doesn't mean anything in the standings only days before they tussle once again, in the Major Arena Soccer League South Central Division playoffs. Milwaukee hosts Kansas City at UW-Milwaukee Panther Arena on Sunday at 2:05 ET. Then, in the division final series, the second-place Comets welcome the first-place Wave to Silverstein Eye Centers Arena on Thursday, April 18 at 8:35 p.m. ET before returning to Milwaukee for the second game and a possible mini-game on Saturday, April 20 at 3:05 p.m. ET. But we're getting a bit ahead of ourselves. First things first -- Sunday's game. In a league that sometimes demands back-to-back games on the road, both squads had two weeks off. "Yeah, it's definitely not an ideal situation, not a situation that we would prefer to be in, but we're in it," said Oliviero, who listed three priorities for the match. "One, everyone gets through the game healthy. Two, no silliness, no red cards that could eliminate a player from a playoff game the following week. And three, the least important, but still very important, is fine tuning individual games and team plans just to make sure come Thursday we're firing at 100 percent." Oliviero, whose 20-3 team secured the South Central regular-season crown a few weeks ago, probably will remind his squad about that, although the players just might already realize no playoff suspension would be worth it. "We've got a very mature team," he said. "They've got their eyes on the prize. I think they understand these things. It's one of those games where the result is not the most important of all the outcomes we're looking to get out of this game. With that said, are we still playing to win? Yeah, play to win for our fans. Will we show everything we're going to do come Thursday and the following Saturday? We won't. But there'll be times our model of play and the way we go about things is going to show. We're going to tinker with a couple of things and see how we look in preparation for the playoffs. It's certainly a difficult question of balance. By their nature, players are competitive and will try to win, but at what cost when there is less on the line? "There are important games and then there are important games. but some of them are more important than others," said Roentved, a veteran of countless playoff games and series as a Hall of Fame player and arena coach. "I certainly don't want to go to Milwaukee and embarrass ourselves and do whatever respect we have for them." Roentved mentioned the Wave is 10-1 at home this season. "Without sharing too many secrets, I care about this game, but I care more about the first playoff game and the second playoff game," he added. A few Comets players are recuperating from injuries and the team be missing James Togbah for point accumulation suspension, so the visitors might not necessarily use all their regulars all the time Sunday. "That gives me an opportunity to give some of the players who had only had a few games this year to have an opportunity to show me what they can do in regard to next year and who deserves another opportunity to sign another contract," Roentved said. "This is a good test for them. This gives me an opportunity to look at another goalkeeper. I can't afford to have my No. 1 goalkeeper to go down with an injury. So, he will have limited playing time up there." Mark Saxby, who has an 8-4 mark and a 6.88 goals-against average in 12 games, is the regular keeper, while Steven Hamersky hasn't played a minute this season. Both sides have results and factors it can use to its advantage, preparation prior to the next three matches. The Wave won the season series, 3-1 entering Sunday's match-up, and there is nothing like home, sweet, home field advantage, which it earned during the regular season. "Everyone has their different philosophies on this, but to have the final game in your building in front of our fans, a place that you know, a place that you're comfortable with, it's almost like an extra man," Oliviero said. "It definitely gives the edge; it gives you the advantage. You know what, we plan on using it to our advantage. "Sleeping in your own bed, having your routine. It's always goes into it. And having that second game at home and that potential mini-game I think it gives us an advantage. With that said, we're going into Kansas City, we're going in there, treating this like a one-game series. And we're going in there to win and put our best foot forward and focus on April 20." Sunday is Fan Appreciation Night at Panther Arena. It's also Super Heroes and Princess Night in which youngsters get dressed up. The team has an autograph session on the field. Milwaukee leads the league in attendance, averaging 3,934 through its first 11 home games. "Our fans deserve to see an exciting show," Oliviero said. "Our fans have a very good relationship with our players. They deserve it. They are here, cheering our guys on and our guys really appreciate it. We think we've got the best fans in the league. We love what they do for us. They keep us on a high, they pick us up when we're not doing so well. As a team, individually as players, the staff, we all owe it to the fans on the field during game time and after the game to show them how much they mean to us." As it turned out, the Comets (13-10) own the distinction of being the only MASL team to leave Panther Arena with a victory this season, an impressive 7-6 result on Jan. 11 as the visitors overcame a 3-1 first-quarter deficit. That certainly can't hurt. "I'll be honest with you. The fact that we played three good quarters up there might be a boost to the team," Roentved said. "I can probably only find out of 13 wins we had this year; we've only played three good quarters and very few four great quarters to win many games. That's what we've been working on and thanks to a couple of weeks since our last game. We've worked on a few things that I think we could improve and then we'll take our chances. We worked very hard on a couple of things that I thought we needed to improve on and hopefully it will come together. What a better time to put it all together in the playoffs against Milwaukee. Why not?" Roentved realized that overcoming this powerful Milwaukee side won't be an easy task. "The Kansas City Comets have all the respect for the Milwaukee Wave," he said. The Comets’ top challenge is forward Ian Bennett (45 goals, 10 assists). No. 2 is forward Max Ferdinand (20 goals, 15 assists) and defender Marcio Leite (8 goals, 20 assists) No. 3. "We have to do everything we can in our power to close those three guys down and that'll be the No. 1 priority," Roentved said. "I'm certainly not going to go out there and commit suicide for 60 minutes. I'm not going to do that. It's playoff time. If you want to go somewhere, you've got to out and get it. But first things first, we've got to play them at home. ... Over the past six, eight weeks we have improved as a team. We threw away [games], not credit to anybody else, but it was more our fault that we lost three, four, five games that I think we should have won. I'm not saying that we could have caught up with Milwaukee, we certainly could have given them a run for their money. We have played a lot better in the second half of the season than the first half of the season. So why not save the best for last?" Oliviero had similar thoughts about his team going deep into the playoffs, if not winning it all. The last time the Wave celebrated a title was in 2011-12 when it captured the Major Indoor Soccer League championship. "They've been a joy to work with and a lot of fun," he said. "Seeing their commitment day in and day out and seeing what we are doing in our training sessions and seeing it come out in a game situation on game day makes me proud of those guys. Just really want to see them take the next step because they've put in a lot of time and effort behind the scenes over the last five months. So, now we're starting a new season. And you know what? My job as a coach is to [make sure] these guys get what they deserve. That's our goal." If the everything falls together and the favorites win their series, the teams with the best regular-season records could meet down the line for the MASL crown in the Ron Newman Cup. Only the San Diego Sockers have a better record -- 23-1 -- entering their season-finale at home against the Monterrey Flash on Saturday, April 13. "San Diego, full credit," Oliviero said. "That record is unbelievable. They signed Landon Donovan from MLS. Everything seems to be falling into place for the Sockers at this time. That potential game is a long way away. We wish them all the best. They've had a great season. They've been fun to watch. Some really special players on that team. I just want to say congratulations to San Diego on winning the regular season title." But Oliviero is hardly putting any cart in front of his horses. He knows he has three important games against the Comets in the next week or so on which to focus. He wasn't taking anything for granted. "Kansas City is a very experienced team," he said. "They've been in this position in five of the last eight years. They've had success and they've won a championship. They're an athletic team. They're fast. They can get up and down the field. 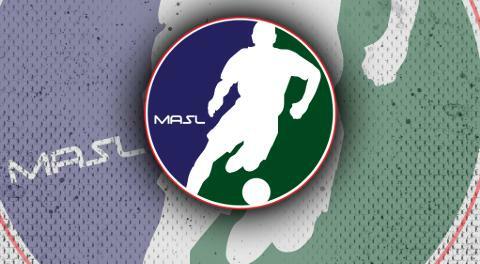 They're never an easy match up for anyone in the MASL."